RFC² utilizes UAS (Unmanned Aircraft System) also known as “Drones” to inspect and map towers and other structures. This technology enables us to reduce time and increase efficiency during our survey process, ultimately reducing end costs to clients. The result is high definition photos and videos used in our survey and inspection process. We combine this technology with our years of Telecommunications engineering experience to provide quality deliverables to our clients. RFC² holds an FAA Section 333 exemption and adheres to all FAA commercial UAS regulations and procedures. We stay on top of all current regulatory matters on this subject with the FAA. Our detailed reports include a comprehensive inventory of what is on your tower and where it is mounted as well as a full set of detailed tower drawings with all appurtenances. Our drafting department has extensive Telecom drawing experience to compliment our end results. How up to date is your database of what is actually on your tower? Is this in line with what tenants on your tower say they have up there? Our report covers it all. If you do yearly preventative maintenance on your towers, RFC² can help save costs by identifying potential issues that require attention without having a tower crew climb the tower. If you have drawings, we update them. If you don’t we provide you with detailed drawings and antenna inventory data to keep your tower infrastructure database up to date. 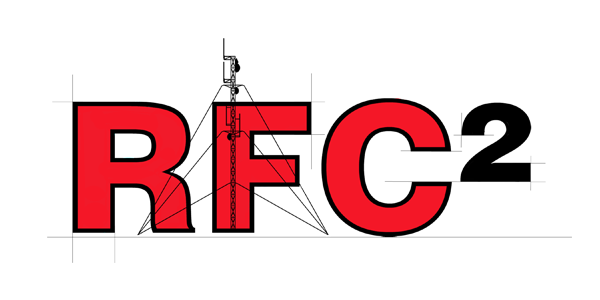 For an entire year, RFC² will provide updated photos, videos and drawings every time you add or remove appurtenances from your tower for a fixed monthly fee per tower. Here is how it works: For an initial cost, we map your tower and provide a full set of AutoCAD drawings, photos and videos in a report. Each time you add or removed appurtenances on your tower, we will update your tower drawings and photos / videos. This is a great way of keeping track on installers to be sure all installations are in line with what your expectations were. We have helped clients identify poor installations by 3rd party tower space renters, enabling them to be sent back to correct installations. Having an updated antenna / tower database with current drawings is a great advantage. © Copyright 2016 RFC². All Rights Reserved.